The Carlisle 558307 equips servers for more efficient beverage service thanks to an ice trap that helps contain beer foam or ice. A tapered lip gives servers control over how product is dispensed, while the handle thumb hold provides user comfort. 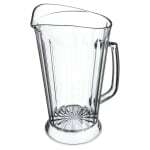 Crystal clear, polycarbonate construction lends this pitcher a long life of service. 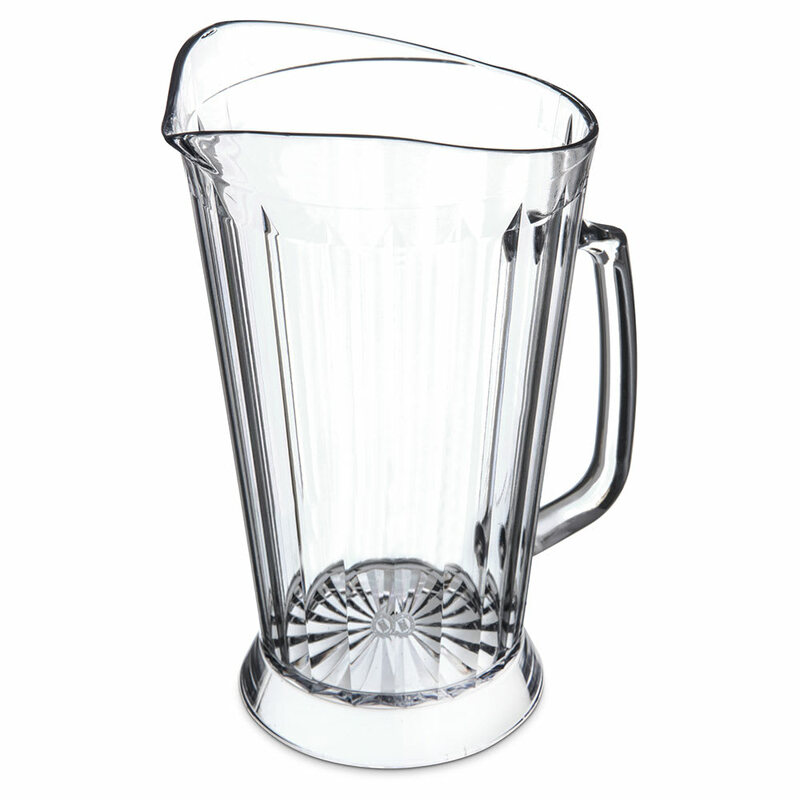 The Carlisle 558307 pitcher is dishwasher safe and its skirt is slotted so it won't collect a pool of water.